Welcome to our luxurious home from home 'Pine View Villa', set within the enchanting Pissouri's village. The villa is set within beautiful natural surroundings extending from the garden and patio area to the most breathtaking sea views. The villa is suitable for couples, families and friends holidaying together offering comfort, luxury and different areas in which to dine or relax. We have tried to think of every modern convenience for our home and we are at hand to help add the finishing touches to your holiday plans. Pissouri not only offers an exceptional choice of restaurants, beaches and activities, it is well positioned to connect you to the delights of other nearby resorts. The village boasts over 40 restaurants. The village is about a 10 mins walk from the villa - an ideal way of building up an appetite. If you are like us and enjoy spacious surroundings and the freedom to explore without hotel curfews then our charming villa will give you the perfect base to be free! Prices may be subject to change at the advertisers discretion. Prices for the property are shown per week in UK Pounds. Prices include beach towels. Last Minute Discounts: Early Bird Discount if booked 4 months before travel. Changeover days are flexible. The Villa will be available from 4.00pm and check out by 10.30 am. Every effort is made to accommodate our guests arrivals and departures but this is subject to other guests. Master bedroom has a king size bed with dressing table and stool, this room has a private balcony which offers breathtaking views. 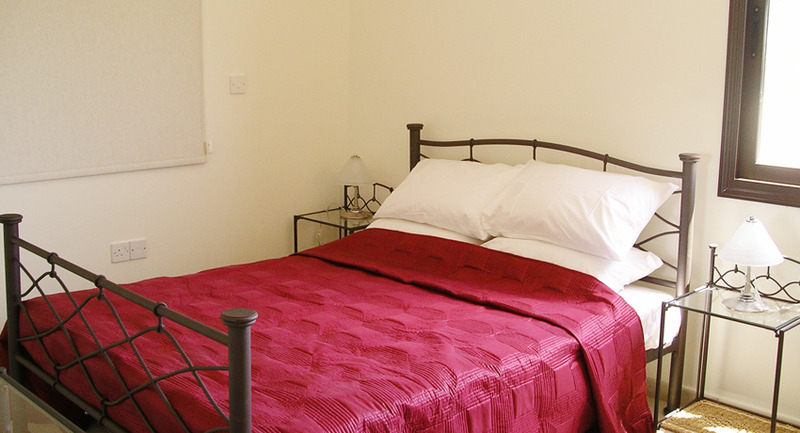 Bedroom 3 has a King size bed, dressing table, stool and is located on the ground floor. The main bedroom has an en-suite with shower and wc. Bedroom 2 has an en-suite with bath/shower over and wc. Bedroom 3 has a shower and wc. All bathrooms have mirrors, shaving points etc. The kitchen is fitted with up to date appliances which include oven, hob, fridge/freezer, extractor fan, microwave, toaster/sandwich maker and a variety of pots/pans and oven ware goods. It also has a good supply of utensils/crockery for indoors and outdoor. The washing machine is located within the kitchen. The living/dining area have a/c units. The dining room can seat 6 around an oak table. The lounge has leather suites, with oak coffee and side table, TV, DVD and satellite. Both areas lead out onto the patio with table and chairs with fantastic views. On the lower ground level you with find another place to relax by the 8m x 4m pool. There are sun loungers, table and chairs with a gas BBQ. Also there is a timber decking area where you can relax. We provide all bedlinen, bath/hand towels which are changed weekly. 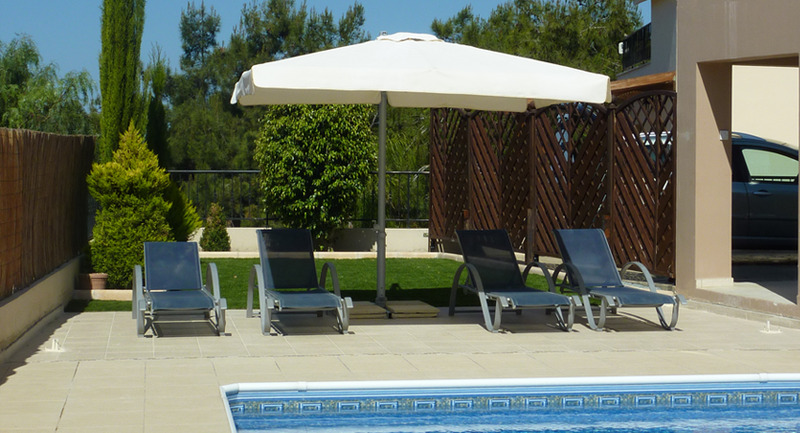 Beach towels are provided also for use by the pool and the beach. All rooms are fully air-conditioning on timers, the bedrooms also have ceiling fans that keep the rooms cool at night. We can provide highchairs, cots, stair gates and car seat if required at a extra cost. Two double glass patio doors lead out to the main veranda. The veranda is large and has an outdoor dining table that comfortably seats six. Prepare yourself for great views of the pine forest and blue Mediterranean sea as the back drop. Our aim is to provide our guests with superior quality accommodation and great surroundings so you can relax and enjoy your holiday. From the pavement there are 3 steps to the front door which brings you into the ground floor. On the ground floor you will find a bedroom and bathroom, leading off the hall. N.B. the swimming pool area is not enclosed and therefore it is not suitable for unsupervised children. 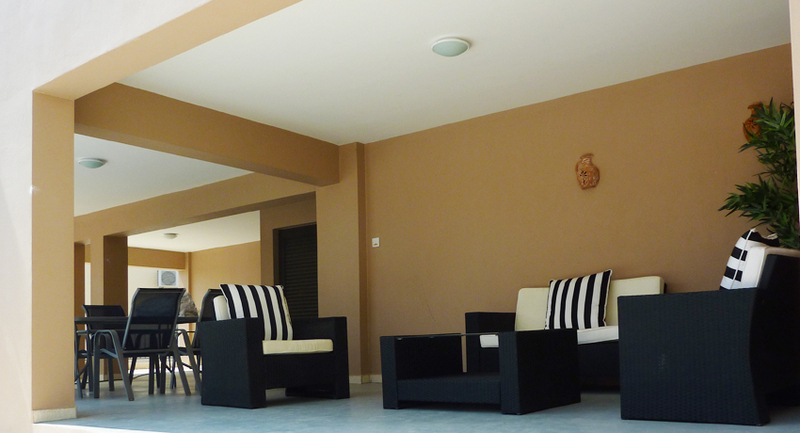 On the lower ground level you with find a private swimming pool 8m x 4m and outdoor shower area. There are 6 sun loungers, covered dining area with table & 6 chairs with a gas BBQ. Also there is a timber decking area where you can relax and absorb the sunshine. The pool area is totally private within landscaped gardens. Within a 2 min walk you will find a tennis court which can be used free of charge. If you are into golf you can find 2 courses within a 10 minute drive and the ladies can visit the The Retreat Spa for top-to-toe pampering. The blue flag beach of Pissouri is a short drive from the villa 4km. The beach offers a fantastic day out in the sun, you will find jet skis, wind-surfing, paragliding, water skiing, snorkeling and many more, You will find sunbeds which can be hired for about 5 Euros for the whole day. On the front you will find restaurants and shops. 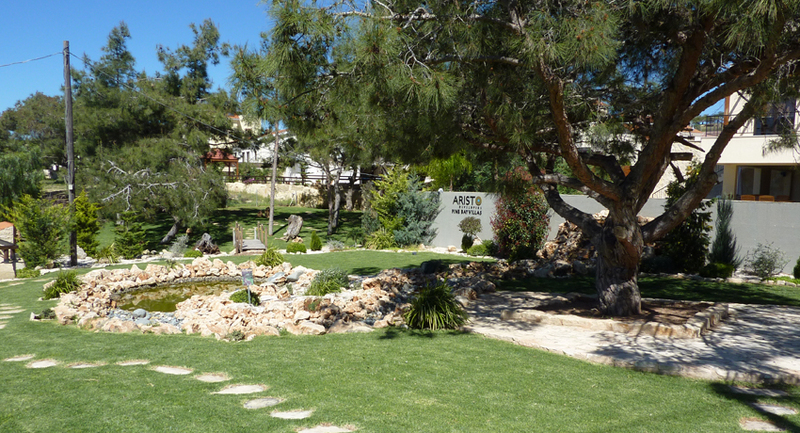 Within a 10 minute drive from the villa you can find two 18 hole golf courses, Aphrodite Hill and Secret Valley. Both clubs offer pro shops with club house so you can relax after your game. Skiing is available approx. 1 hours drive by car up to the Troodos mountains. An excellent restaurant on the edge of the village -on the main road to the beach just as it leaves the village. A good menu, a full range of wines. Stelios and his wife do the cooking, with Fitos, who is also an organic grape farmer & runs the village services and administration, helping serve the tables. Marvellous views across the countryside. Now owned and run by Stavros and his wife, ably assisted by Antonious. The Bunch of Grapes was what made Pissouri 'courtyard restaurants' famous. It has now achieved its ambition and it is now even better than ever. It is probably one of the very best patio/courtyard restaurant in Cyprus. Its food has always been heavenly perfection, exactly what it is imagined with Cyprus cuisine. The food service is second to none. A visit to the Bunch of Grapes has become a must for all visitors to Pissouri, booking is necessary for Friday & Saturday evenings & Sunday lunchtimes. As the name implies, it is hidden away just off the village square. This is another of Pissouri’s famous 'courtyard restaurants'. Good service and good food. Excellent for grilled meat, including steaks. Very popular with the residents and visitors alike. It also boasts an excellent dessert menu for those with a sweet tooth. A good restaurant, rather than a taverna, right at the very top of the village. A quality restaurant and the place to go for a relaxed evening when time is not important. One of the best restaurants to enjoy spectacular views. Extensive restaurant menu. Excellent steaks. Booking advisable - closed on Mondays. This is a very good Chinese take-away. Order your dinner by phone and simply pick it up on the way home. Great food at reasonable prices. Situated on the beachfront road. This restaurant only opens for evening meals. Always good to get a curry if you are in the mood. Prices are per/week paid in UK Pounds and paid direct to the owner, with a 25% deposit with booking and balance paid 8 weeks prior to departure. 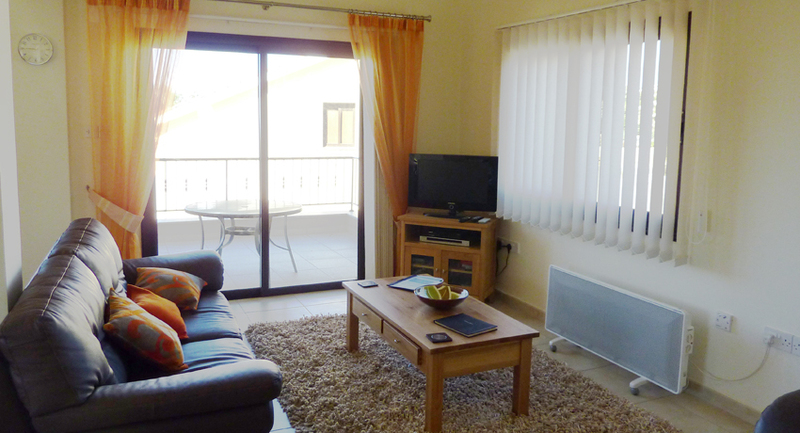 We welcome all enquires for holidays, short term and long term lets. You can book any extras you may require upto 3 days before departure ie (Food, drink, collections and returns to airport). On your visit there two things to do, the first is to attend the Cyprus night in the village square and the other is to visit the Pissouri live theatrical performance. This would be performed in the same way it has for thousands of years, in the open air-amphitheatre-wow. This is the way theatre was meant to be viewed & it always impresses any culture loving person. The theatre can seat 1200 people and the atmosphere is overwhelming. The views from the the theatre stretch as far as the Troodos mountains. It's just breathtaking. 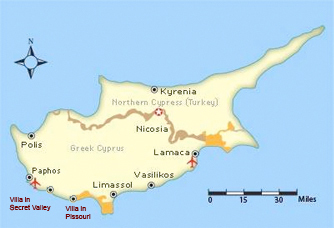 20 min from Paphos International airport. 8 min from Pissouri beach (Blue flag). 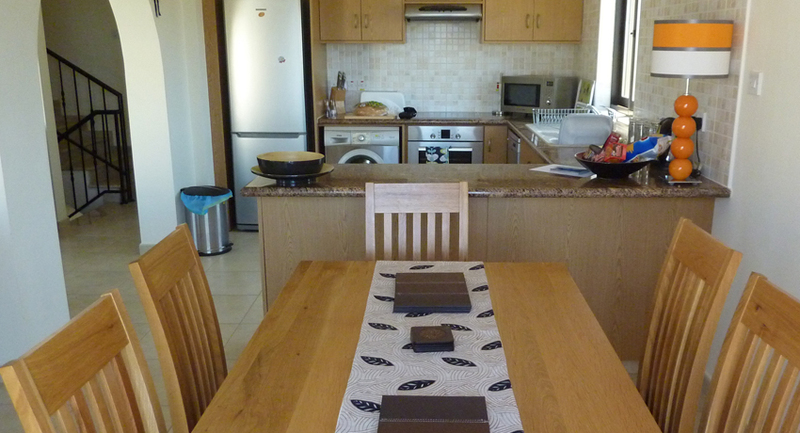 25 min from Paphos Town (via Motorway). 25 min from water park at Paphos.